You’ve heard the phrase, “Don’t believe everything you read.” It’s an age old adage that teaches us to stay critical of the things we see on the news and read in newspapers. This still applies today in social media. In fact, people rely on Facebook and Twitter as primary sources to get their news—and because social media is so new, it lends itself to a fake-news problem that’s more of an issue now than ever before. Fake news is when a non-accredited website reports something false as the truth. It can be about any topic. The people who create a fake-news article often use trending buzzwords in a title to get you to click on it. Buzzwords are words with a high search rate on social-media sites. You’ll often see them as hashtags. For example, #Irma was the buzzword trending during the hurricane, and a lot of misinformation was posted about what happened in the aftermath of the disaster. Buzzwords can trend nationally and locally, but Facebook and Twitter have designed their websites in such a way that you only see the trending words they think are most interesting to you. This creates a problem, because it’s harder to see and spot fake news when all your friends and the people with whom you agree are posting the same things. Spreading the misinformation around makes communities more vulnerable. Facebook is coming under fire now for selling advertisements to people who may have wanted to spread fake news. Timesharing fraud is an example of fake news. Any site that can claim to get you out of your timeshare fast without legal hassle is probably lying to you, especially if the arrangement involves an upfront payment. Some vacation clubs are trying to stop this by suing timeshare­resale companies or timeshare­exit companies—but robots also are a problem. If you go into #timeshare on Twitter, you’ll see hundreds of accounts post the same exact tweet at the same time. Those are robots, doing it automatically to promote whatever interest they’re told to. These bots can get a link to a timeshare fraud website and then post that link hundreds of times, making it seem like a credible place to go to sell your timeshare. It’s not; those accounts are lying. This happens on every single hashtag on Twitter and Facebook. Right now it’s unavoidable. 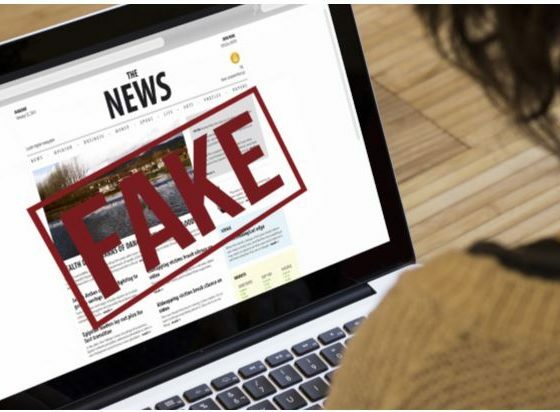 Here are some ways you can detect and avoid fake news: The best way to know if a new post or article is fake is to look at who posted it. Was it The New York Times or a random website you’ve never heard of before? National news networks and local news outlets are dedicated to bringing you actual news, and are mostly trustworthy. If you’re reading an article from a news source you’ve never heard of before, it might not be real news. Another question to ask is if other news sources also are reporting that same story. Are CBS, CNN, and Fox News all reporting something similar? If so, you can have good faith that the story you’re reading is real news. If three or more news sources report on the same thing, you should be able to trust that story. Finally, decide which news sources you trust to bring you the real stories. That is entirely up to you and your personal values. A simple Google search should give you all the answers you need to evaluate the accuracy of any news source. As for timesharing, trusting only official sources of the company from which you bought a timeshare should steer you clear of any misleading or false claims about exiting or buying timeshares. Of course, TimeSharing Today is dedicated to researching and bringing you only the most accurate timeshare news. Now more than ever, that saying is true: Don’t believe everything you read. Fake news has always been a problem, and now it’s especially a social media problem.